Del concierto “El Gusto es Nuestro”, con Ana Belén, Víctor Manuel y Miguel Ríos. 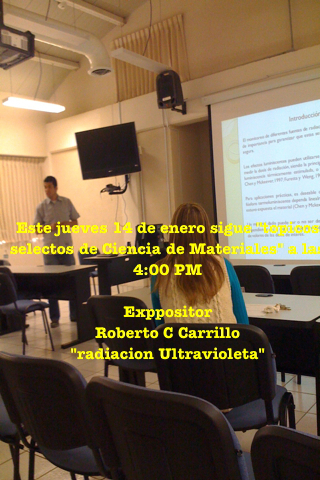 Reanuda GIMM UNISON "Tópicos Selectos de Ciencia de Materiales"
A partir del jueves 14 de enero, el Grupo de Ingeniería Molecular de Materiales (GIMM) de la Universidad de Sonora (UNISON) dará continuidad a los seminarios internos que desde hace años lleva a cabo, “Tópicos Selectos de Ciencia de Materiales”. Uno de los objetivos de estos seminarios que se realizan semanalmente es reforzar la formación de los estudiantes de licenciatura y posgrado asociados al GIMM. El primer expositor de este semestre es Roberto Carlos Carrillo Torres, estudiante que iniciará el segundo semestre de sus estudios de maestría. Carrillo hablará sobre la naturaleza, propiedades y aplicaciones de la luz ultravioleta. 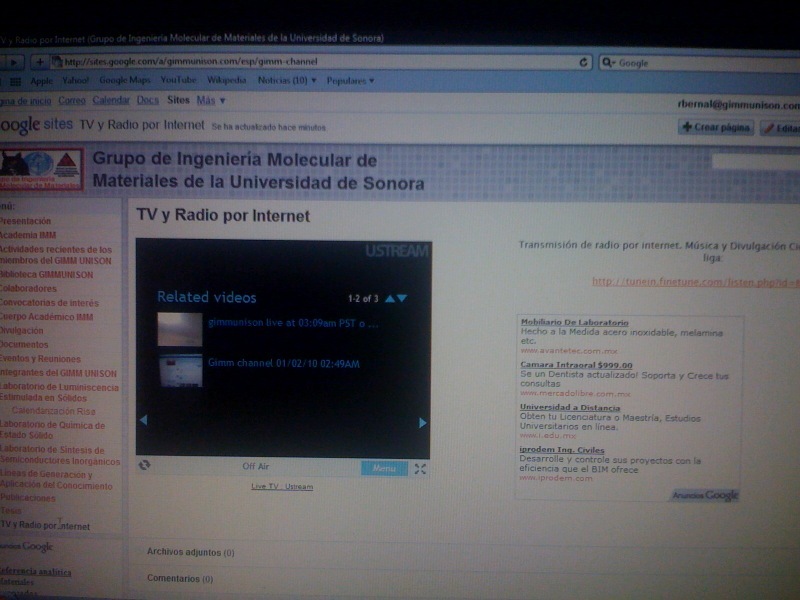 Visita el sitio web del GIMM UNISON en www.gimmunison.com . A team of quantum physicists has taken the first steps towards using a quantum computer to predict how a chemical reaction will take place. Even the most powerful classical computers struggle when trying to calculate how molecules will interact in a chemical reaction. That's partly because the complexity of such systems doubles with the addition of every atom, as each atom is entangled with all the others. Such escalating complexity is far easier for a quantum computer to deal with, because quantum computers exhibit similar properties: adding just one extra quantum bit or "qubit" doubles computational power. "There is a natural match between quantum computers and modelling chemistry," says Andrew Whiteat the University of Queensland in Brisbane, Australia. In 2005 Alán Aspuru-Guzik at Harvard University and his team proposed an algorithm to carry out quantum chemistry calculations on a quantum computer. Now White, Aspuru-Guzik and colleagues have implemented the algorithm on state-of-the-art two-qubit photonic quantum computing hardware. Their "iterative phase estimation algorithm" is a variation on existing quantum algorithms such as Shor's algorithm, which has been successfully used to crack encryption schemes. It is run several times in succession, with the output from each run forming the input to the next. "You send two things into the algorithm: a single control qubit and a register of qubits pre-encoded with some digital information related to the chemical system you're looking at," says White. "The control qubit entangles all the qubits in the register so that the output value – a 0 or 1 – gives you information about the energy of the chemical system." Each further run through the algorithm adds an extra digit. The data passes through the algorithm 20 times to give a very precise energy value. "It's like going to the 20th decimal place," White says. Errors in the system can mean that occasionally a 0 will be confused with a 1, so to check the result the 20-step process is repeated 30 times. The team used this process to calculate the energy of a hydrogen molecule as a function of its distance from adjacent molecules. The results were astounding, says White. The energy levels they computed agreed so precisely with model predictions – to within 6 parts in a million – that when White first saw the results he thought he was looking at theoretical calculations. "They just looked so good." Though cryptography is often cited as the most likely first application for quantum computing, chemistry looks to be more promising area in the short term, Aspuru-Guzik says. A system with 128 qubits – enough to be of use to chemists – "would be able to outperform classical computers", he says. Cryptography quantum algorithms would require many thousands of qubits to achieve this, says White. "The model of hydrogen we used was a simple first-year undergraduate quantum model, where almost all the complexity has been removed," White says. "But it turns out we can do more complicated models in principle. It just comes down to using a system with many more qubits." If you would like to reuse any content from New Scientist, either in print or online, pleasecontact the syndication department first for permission. New Scientist does not own rights to photos, but there are a variety of licensing options available for use of articles and graphics we own the copyright to. 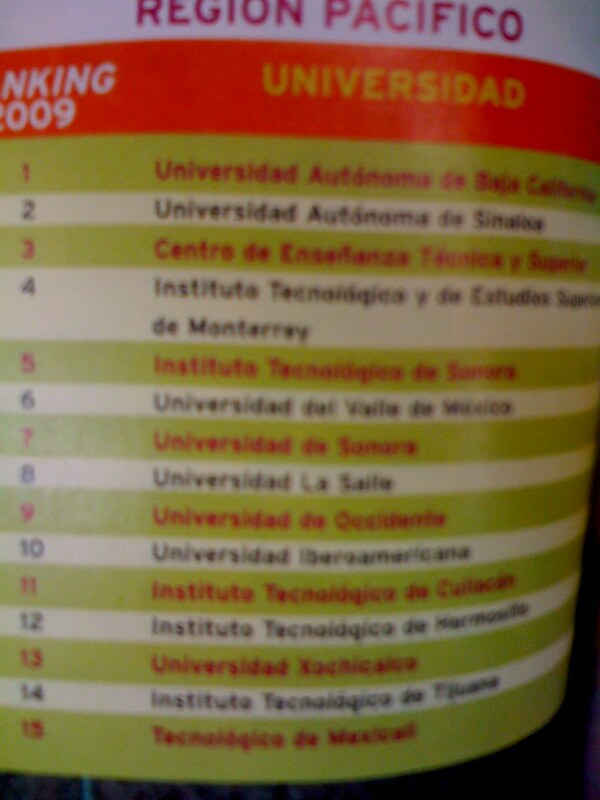 Aunque la Universidad de Sonora (UNISON) se encuentra actualmente en periodo vacacional, el (Grupo de Ingeniería Molecular de Materiales) GIMM de la UNISON dió continuidad a algunos proyectos que se busca concretar en el 2010, y con ese propósito es que se realizaron pruebas exitosas para transmitir por TV y Radio por internet. El propósito en ambos casos es incrementar el impacto del GIMM en cuanto a la difusión del conocimiento científico y tecnológico, particularmente en el área de ciencia e ingeniería de materiales. Después de las pruebas exitosas de la transmisión de imágen, ahora la continuidad y éxito dependerá del apoyo institucional que se consiga para poder hacer transmisiones de calidad, ya que las pruebas se realizaron con modestas cámaras de teléfono celular. En el caso de la radio la situación es más sencilla ya que los costos son muy bajos, y solo resta ver si el sistema de filtrado de la dirección de informática de la UNISON no es un obstáculo para ambos tipos de transmisión, para lo cual se harán pruebas usando la red de la UNISON al continuar las actividades del Alma Máter la próxima semana. La actividad de ambos medios está sincronizada a la cuenta de twitter del GIMM (http://twitter.com/gimmunison), por lo que en twitter se notificará cada vez que halla programación en vivo. Entre las aplicaciones de estos medios de que ahora dispone el GIMM, se puede considerar la transmisión de seminarios, conferencias, y posiblemente exámenes de grado, que son abiertos a todo público. La transmisión de documentales es otra actividad a tomar en cuenta.